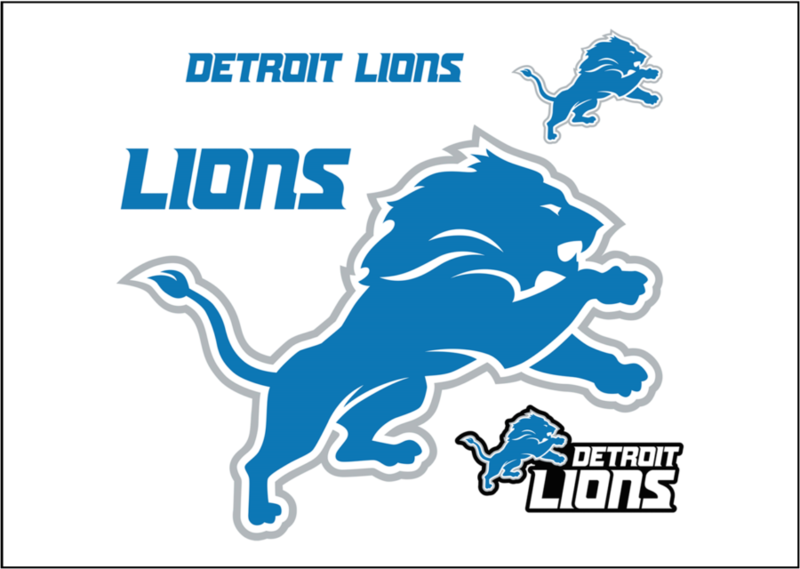 The Lions are off to strange start after beating two of the better teams on their roster and losing to the worst two teams on their schedule (Logos courtesy of the team website). The Detroit Lions have had a very strange 2018 season. Coming in to the season, many critics (including myself) questioned the talent on the Lions and were concerned with their difficult schedule. During the offseason, the Lions fired their head coach Jim Caldwell after the team posted its second consecutive 9-7 record and missed the playoffs. The Lions replaced Caldwell with first-time head coach Matt Patricia. Patricia was the defensive coordinator for the New England Patriots during the previous season. The Patriots made it to the Super Bowl that season, but lost to the Philadelphia Eagles. Things were not looking good for the Lions heading in to the season, after reports surfaced about Patricia’s inability to win over the locker room. Several local news outlets reported that the veteran players did not like Patricia’s coaching style, especially the longer, more intense practices that were held in August. The Lions opened up their season on Monday Night Football against the New York Jetsm, who were starting rookie quarterback Sam Darnold, and all experts believed that the experienced Lions defense would eat him alive. Detroit was also hosting the game at Ford Field, and many believed that the road environment would be too much for Darnold to handle. By the time the clock reached three zeros, the final score was 48-17 in favor of the Jets. Darnold had an impressive first game, passing for almost 200 yards. The Lions were absolutely humiliated on the national TV for Monday Night Football, committing five turnovers and being blown out by a team that won only five games in 2017. Spectators could notice that the Lions seemed mentally checked out, and it was only the first game of the season. In week two, the Lions travelled to San Francisco to take on the 49ers, who only won 6 games in 2017. Detroit looked to rebound from their week one embarrassment and try to keep their playoff hopes alive. The Lions played a much better game, with a strong offensive performance, especially in the second half, but they could not finish in the fourth quarter, and lost, 30-27. The Lions were now 0-2, with the NFL’s Goliath (the New England Patriots) coming up the following week. I believed that the Lions could end up with their second 0-16 record, especially after losing to two teams that they should have defeated. All expectations of the season were lost, and hopes were not looking good. During week three, the Lions hosted Tom Brady and the Patriots at Ford Field for Sunday Night Football. This was Patricia’s first time facing his former team, and the Patriots were trying to rebound after a loss to the Jacksonville Jaguars. Most experts believed that the Patriots would pummel the Lions, and that it would be no contest. They were correct that the game would be no contest, but the Lions stunned the Patriots at home, winning easily, 26-10. Matt Stafford had a great game, throwing for 262 yards in the victory. The Lions also made history during the game. For the first time in 68 games, Detroit had a rusher run for more than 100 yards in rookie Kerryon Johnson. With an impressive defensive performance that made Tom Brady start to look old for the first time, the Lions’ hopes seemed a little less dreary after this game. During week four action, Detroit travelled to Dallas to face the Cowboys. This looked to be a season-deciding game for the Lions, with the Cowboys having a rocky start to their season. Throughout the game, the lead went back and forth, but in the end, the Lions were edged out by the Cowboys, 26-24. This was a tough loss, making the week three win look like a fluke. Stafford threw for more than 300 yards, but it was not enough to get the Lions the victory. The Lions hosted the Green Bay Packers and needed to win to have any chance to keep realistic playoff hopes alive. The Packers are notorious for playing well at Ford Field, and their quarterback Aaron Rodgers seemed to be back to health after injuring his knee early on in the season. Whether Rodgers was healthy or not did not matter though, as the Lions were in control the entire game, winning 31-23. This was a major win for Detroit, due to the fact that the Packers are also in the NFC North. This win could help Detroit later on in the season, and could even help them secure a playoff spot. So far, this season has had a lot of ups and downs. They are currently 2-3, with little indication as to how they will play the rest of the season. They have seemingly beat the best 2 teams on their schedule, but were blown out by the worst. Just like many other years, Detroit always seems to rebound when their fans least expect it, but also ultimately disappoint when it comes to making the playoffs or winning a playoff game. If they can figure some things out (like finding an effective way to consistently run the ball on offense) they will probably be in the hunt for the playoffs by the time the regular season is coming to a close. But if the Lions remain stagnant and do not make any improvements, it would most likely be a long season ahead for players and fans alike.